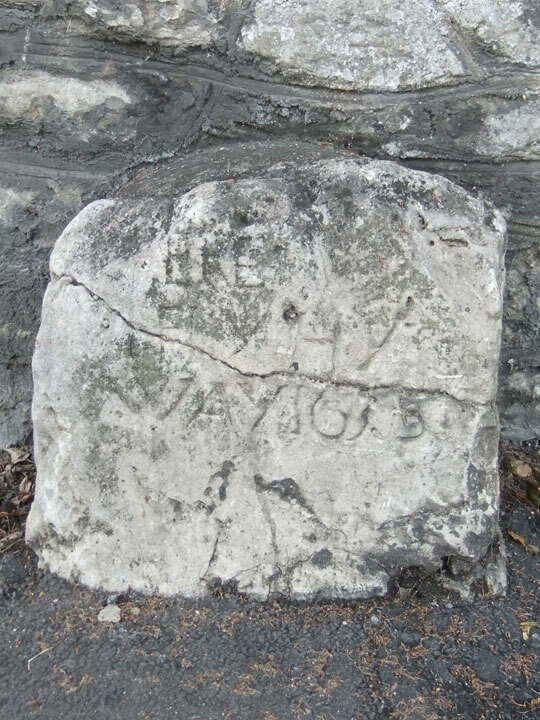 This is the oldest highway stone in Oxfordshire, and also one of the oldest in the country. It is on the south-west side of Rose Hill, at the north-east corner of the boundary wall of Denton House (opposite Church Cowley Road). This is part of the road from Oxford to London via Henley. Before 1877 this road branched off Cowley Road near the present Circus Street to reach the Iffley Road, but in that year Iffley Road was extended to the Plain.